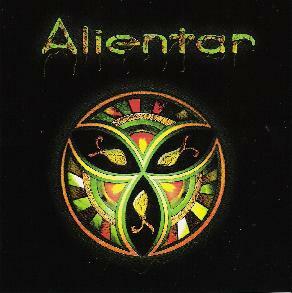 Santa Cruz’s Alientar share much in common with the post-Hawkwind/Grateful Dead/Nektar generation of neo-psychedelic bands, particularly Ozric Tentacles, Tangle Edge and Porcupine Tree. But Alientar plug in distinctly American influences that clearly differentiate them from their more baroque European cousins. The exploratory jam aesthetic of the Dead, The Allman Brothers and the early Jefferson Airplane collides head-on with more roots-oriented Americana, including blues, funk and 90s alternative rock. The result is perhaps a heavier, more down-to-earth Ozric Tentacles. Like the Ozrics, the arrangements are often eclectic and the playing accomplished and, at times, feverish. Anchored by the forceful rhythm section of bassist Derk Hagedorn and drummer Jason Deppong, powered by the twin guitars of Forest Coe and Jeremy Lathrop, and punctuated by Joseph Lemmer’s organ/synth textures, Alientar has carved out a unique niche for itself in the new wave of American space rock. The opening track, "Sonic Wave", gasses up the primal funk for a stratospheric excursion through territory inhabited by jam-monger titans Phish. More revealing, however, of their kaleidoscopic Haight-Asbury roots is the Middle Eastern inflected "Music Box", a whirling dervish of frenetic guitars and exotic percussion. "Music Box" gloriously fuses Gong and Monster Magnet into a mesmerizing arabesque of serpentine rhythms and labyrinthine drones—stoner rock for a Tangier hash pit. The Allmanesque "Good Luck" breaks the perfumed spell, unabashedly displaying Alientar’s debt to the masters of Southern jam. Though addictively melodic, Coe’s lead guitar scales here are perhaps a bit too reminiscent of the Duane Allman/Dickie Betts school of Dixie-fried rock. Still, the reggae break that serves as an extended bridge to the song’s concluding section is nicely executed. "Bizarre" is meltdown monster sci-fi rock, a thundering hybrid of Blue Oyster Cult’s "Godzilla" and Hawkwind’s "Assault & Battery". The relentless guitar/organ slash and burn pyrotechnics rocket "Bizarre" deep into the asteroid belt. "Hypnosis" brings the disc to an appropriate farflung conclusion somewhere out beyond the rings of Neptune. Lemmer’s cavernous filter sweeps and radiant pads envelop the stereo field amid the echoes of disembodied voices and soaring guitar leads. Though at times perhaps too stylistically diverse, there’s no doubt that Alientar puts a refreshingly different face on the now well-worn body of psychedelic space rock. For more information you can visit the Alientar web site at: http://www.alientar.com.